The truffle is an underground fungus containing a high percentage of water and mineral salts which are absorbed from the soil through the roots of the tree with which it lives in symbiosis. Its colour, taste and perfume depend on the type of plant. 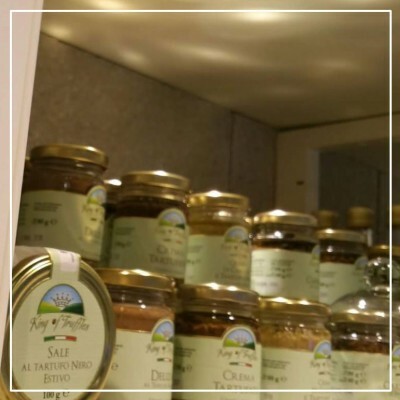 The white truffle which grows in contact with the oak tree has a more intense and pungent perfume, while the truffle growing among the roots of a lime tree is lighter in colour and more aromatic. Its structure is composed of the Peridium (the outer layer of the truffle) and the Gleba (pulp) and is influenced by the type of soil. 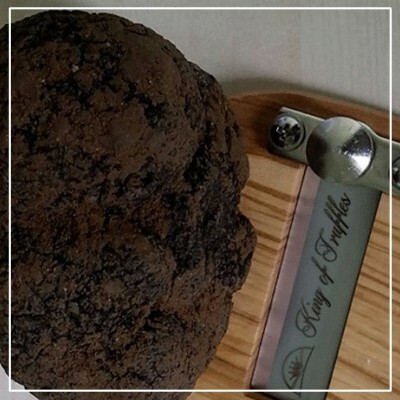 When the soil is loose and sandy, truffles are large and smooth, whereas when the soil is hard and compact, truffles are knotty and jagged. The habitat in which the truffle grows is extremely sensitive; the slightest chemical or physical variation in the soil could cause its demise. Another key element is the biodiversity of these habitats. The most suitable soil on which we work is that of clay and marl (yellow, gray and white in colour). The area where we pick truffles is rich in natural springs, forests and particularly rare flora and fauna, and constitutes an ideal balance for the formation and growth of the truffle.